From Our Flickr Pool: Escaping Technology? : All Tech Considered Man versus machine is the timeless theme of sci-fi books and movies, but many of us fight the battle in our everyday lives. Where do you go or what do you do to escape technology overload? From Our Flickr Pool: Escaping Technology? 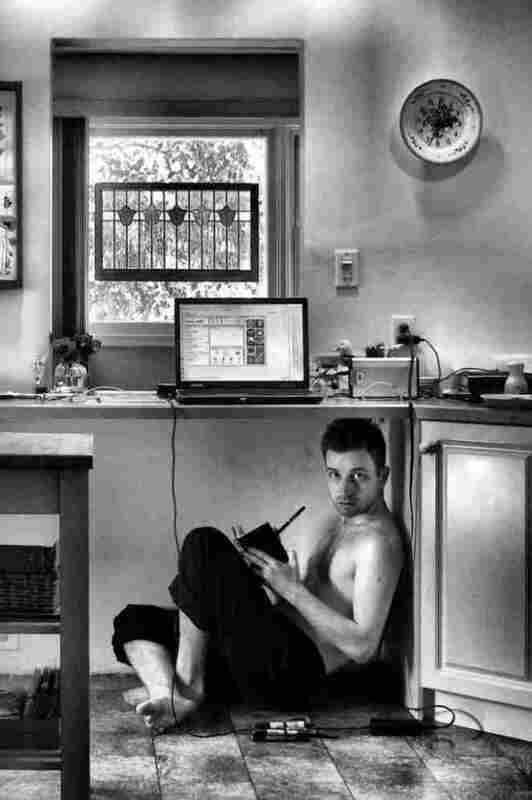 Do you sometimes feel that you need to crawl under the table to get away from all the electronic gadgets in your house? When I first glanced at this photo submitted by Striatic to the All Tech Flickr Pool, it immediately resonated with me. We all have days we experience information overload and want to hide from our cell phones, laptops, e-mail, text messages, etc. While it initially appears that Striatic found a quiet place to hide from the technology all around him, he is actually still at the very center of it. Striatic is drawing a piece of technology -- the very camera that is photographing him. This "Undercover" photo was then posted to Flickr, a photo sharing website, which then drew a string of comments. Now it is being posted on a blog that focuses on the intersection of humans and technology. Sometimes I think the question isn't are we ever able to escape technology, but, rather, for how long a period of time can we -- or are we willing to -- avoid technology. Technology has become an inescapable part of our lives. When we're not actively using it for business purposes, we're using it for pleasure purposes, or dreaming up new ways to use it.